Giving a gift of the highest quality is sure to be appreciated, but giving a gift that’s functional ensures that it’ll be used. So why not get the best of both worlds and pick up one of Border Fine Arts’ Gifts for Men. The latest collection from the beloved brand includes these Garden Secateurs which are as beautiful as they are practical. This versatile tool unfolds to reveal powerful secateurs and is also equipped with a knife, a saw, a stem stripper and a small hole for hanging. And because it is made from the highest quality materials including stainless steel, it’s easy to clean and will keep its good looks. 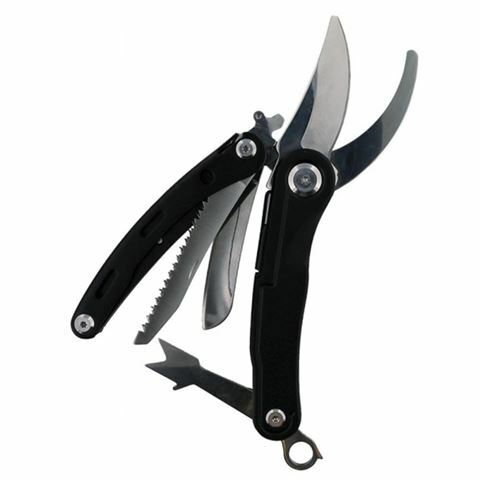 These BFA Garden Secateurs are a gift that will always make a lasting impression. Unfolds to reveal a pair of secateurs. Also equipped with a knife, saw, a stem stripper and a hanging hole. Beautifully presented in a BFA gift box.